Flu infection is not lethal per se. However, it might be deadly for some people, especially in people with the suppressed immune system. But, how do people die from flu? According to medical experts, the fly might cause certain complications such as sepsis, pneumonia, myocarditis, pericarditis, etc. They believe that secondary infection that emerges from virus infection can be a dangerous one. Particularly dangerous is sepsis. In many cases, it can be lethal. Some of the symptoms of sepsis are fever, fast heartbeat, shortness of breath, lack of energy, lack of appetite, dehydration, etc. Sometimes, sepsis can go unnoticed even by doctors. Because of that, it is essential to recognize the symptoms on time. To learn more about how do people die from flu, the article “How Do People Die from the Flu?” gives us the following explanation. While it is possible for the flu itself to cause death due to serious breathing problems and severe dehydration, according to Dr. Claire Bocchini, an infectious disease specialist at Texas Children’s Hospital, it is more likely that a complication from the infection will be the cause of a flu-related fatality. The most common complication from the flu that can lead to death is a bacterial infection of the lungs, or bacterial pneumonia. Sepsis is another complication that can lead to death. It occurs when the body overreacts to an infection. Sepsis can affect multiple organ systems, sometimes causing organ failure and resulting in death. 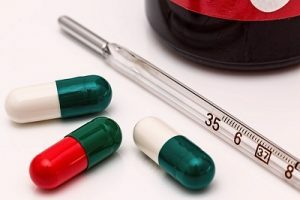 Other rare complications from the flu that can be fatal include infection of the heart (or myocarditis) which can cause sudden death or heart failure, and infection of the brain (or encephalitis) which can lead to seizures and dangerous swelling of the brain. People with chronic illnesses, children, and older people are especially prone to flu and its complications. For them, experts suggest improving the immune system, because our immunity is the best protection against viruses. One of the best ways to boost our immune system is by increasing outdoor time. Numerous studies have confirmed the beneficial effects of vitamin D on our health. People who are deficient in this essential vitamin report better health once they increase the dose. The strength of their immunity jumps to 50 percent. Another tip from experts suggests taking more vitamin C and B1, as well as zinc. Zinc activates T-cells in our body that kills threatening viruses. Even though many people die from the flu this year, we can do a lot to fight the flu and prevent deadly complications. Tags: How Do People Die from Flu? Previous story Are Men Who like Cats Less Masculine?